What do you think of the Internet Freedom and Information Act ? 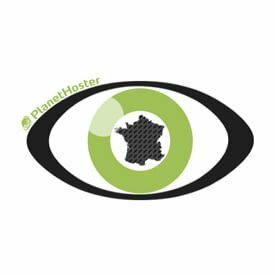 We are now at the dawn of a major event regarding the French internet, a bill to monitor the WEB will be voted in the next days by deputies and senators. This law was designed to keep an eye on all French citizens to collect a lot of information for the intelligence service. Once approved law, the actors of the web (web hosts, suppliers …) will be forced to put spies black boxes in their French infrastructure to monitor and collect meta-data such as IPs, and requests …. transferred directly to a government agency. This entity will analyze your data in search of suspicious behavior. At the time, when we speak, the WEB, to its own neutral ecosystem that regulates itself, without censorship for Europe and America in contrast to China. We can compare it to a political regime. Would you move from a democracy to a dictatorship under the pretext of wanting to stop the alleged terrorists? We wouldn’t! PlanetHoster fights for fundamental freedom and the protection of confidentiality of data. We have done so since the beginning and we do not want that to change. Therefore now, we offer a discount of 25% on all new hosting services in Canada to show our displeasure against this project, with this following promotional code: “PJLRenseignement”. In addition, with the purchase of a shared Unlimited hosting, we offer an SSL certificate that allows you to encrypt data passing through the network.